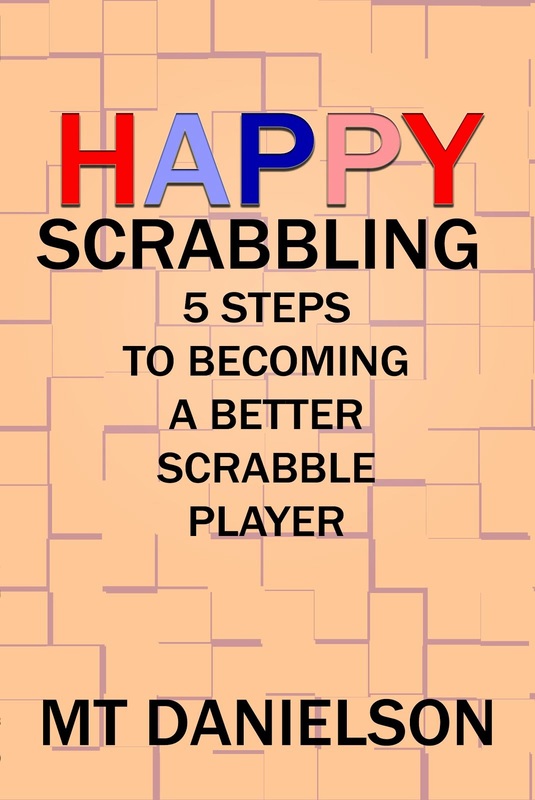 MT Danielson is an author, songwriter, and accomplished time-waster. Check out his stuff. Maybe even buy some of it. MT Danielson will use the money to do more authoring, songwriting and time-wasting, and also consume large quantities of chinese food. Thanks for checking me out! And welcome to the mtd music series. Today’s artist is the maniacally beautiful and sophisticated group, They Might Be Giants. A warning might need to be attached here, since one shouldn’t just stroll into their local record store and buy a TMBG cd- as if anyone does that sort of thing anymore, sadly. Well, then again, there probably shouldn’t be any rules when it comes to music. 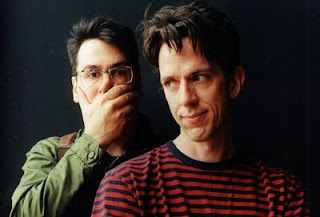 I’m only saying it’s no accident that TMBG has avoided the main stream except for a few minor hits that creep back up into pop-culture in commercials or whatnot every now and again, ie. “Istanbul (Not Constantinople)” for one. Apart from the commercial it was recently in, I also heard this song at a wedding reception a few years back. That just proves my lifelong credo: Anything goes when humans are involved. They Might Be Giants are a great band, with incredibly catchy and crazy songs. Their unique sound features an accordion and synthesizer-like electric guitar sound and they’re really slammin’! I love them, always have, and always will. Something that might appear as a stumbling block for some listeners is their music’s full of informative, historical and downright intelligent lyrics, all delivered, in most cases by the nasally voice of one of the Johns, John Flansburgh or John Linnell-I don’t know which is which. Some people just don’t what to do when meet face to face with intelligence. That’s another reason why I’m qualifying this recommendation. Perhaps the main reason I’m hesitant to recommend these guys is because they’re probably too awesome for some people. When I first discovered them, way back in 1990, I was eating and drinking and sleeping their music. And that’s not easy. However, I was also mixing in Red Hot Chili Peppers and The Smithereens but hey, what can I tell you. I like a lot of different crapola. The thing is, if I wanted to impress a girl, I wouldn’t pop in TMBG. I probably would have put in The Cure or something vile like that, you know, so she thought I was all deep and crap. However, in my heart of hearts, if I had any balls to speak of, I would have put in TMBG, and let the chips fall where they may. I mean you can’t exactly make out with a girl when you got these guys on. It’s not like they have any love songs, even though I happen to think “She’s An Angel,” off their first record, is one of the most beautiful love songs ever written. And when I’m with the fellas and I’m we’re all pissed about something, it’s not like I’m gonna put them on, even though their song, “I’ll Sing Manhatten” is one of the meanest, angriest songs I’ve ever heard. However, when I’m in a certain kind of mood. Now this is what I’m talking about. When I’m getting in the shower and I wanna dance around and cause an accident, now that’s when I wanna put They Might Be Giants’ “Don’t Let’s Start” or “They’ll Need A Crane” on. There we go. Or maybe, when I’m driving down the street, and I’m not seeing any mean looking ruffians acting all hard or any girls I’d potentially like to get with, basically, when I don’t give a crap what people think and I just wanna go crazy, now that’s when I’ll put on “No One Knows My Plan” or “Birdhouse in Your Soul”. The album I started with was 1990’s Flood And I might recommend you start with this one too. Or, you could take advantage of starting from the beginning with their self-titled debut from 1986. Whatever, dude. Don’t give me a hard time. Flood is incredible though. I wore that tape out. I can vouch for the following albums. I’ve even givens asterisks according to my favorites. Sometime around the grunge period of time, I must have got all grungy and stopped listening to TMBG’s new stuff. Plus, the band went in kind of a weird direction after Apollo 18, where they wanted to play with a full band instead of just the two of them. In my opinion, I just say no to this. And thus, the last album I frequented was John Henry, the first of this experience. So, in a way, this article is a recommendation for They Might Be Giants’ early stuff. I’ve heard some newer songs that sound okay, not counting the Malcolm In The Middle theme or those Dunkin’ Donut commercials, but I really love the old stuff. I still listen to it. My dream is for there to come a day when I can walk down the street and proudly display my love for They Might Be Giants (old stuff) by blasting a boom box playing “Dead” or “Letter Box” or if I’m feeling particularly bold, “Particle Man”. How to attract men and find true love. 5 high quality, educational jumbo workbooks for kids 3-7 year old. Fun, creative, and engaging! Get ready for school. Find private money for real estate deals. Singing Lessons: Learn how to sing online. How to buy travel wholesale without being a travel agent. Win Back Love: How to get your ex back. Turn your hobby into a business course. Want Domains with FREE PRIVACY? Say goodbye to GoDaddy's ridiculous fees forever!!! The perfect fat burn diet for superhuman weight loss. 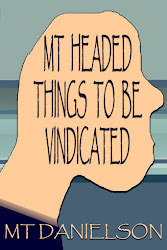 mt headed thing: Don't. Be. That. Guy! mt headed thing: "President" And "Trump"
mt headed thing: How's That For Romance? mt headed things: Nobody Told Me This Job Would Require Me To Be Human! mt headed thing: Can't Hardly Wait For Show-Me State Child-Brides! mt headed thing: Go USA! Buy it before you try it! The perfect gift for any occasion whatsoever! I'm a really big deal!